Figuring out how to mark Valentine's Day can be stressful and strike terror in your heart. Have no fear -- the following items I recently stumbled upon from 40-year-old editions of the Toronto Sun during a recent research session may provide inspiration (or a laugh). If you feel a traditional card isn't enough for your sweet patootie, how about something along these lines? 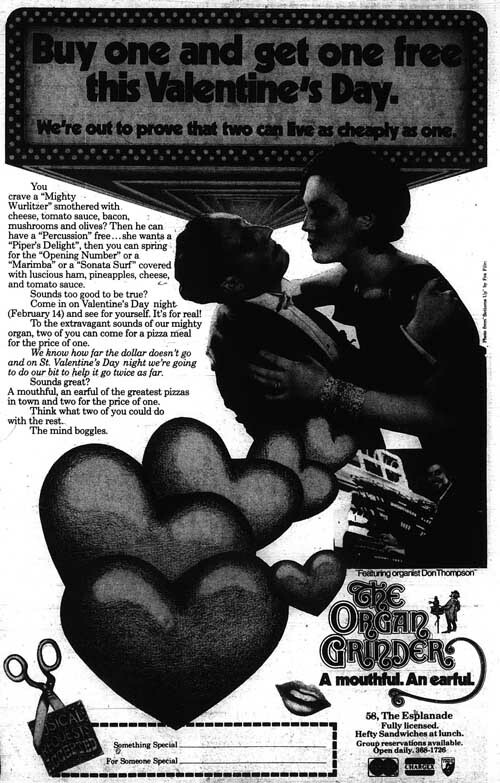 Toronto Sun, February 10, 1977. Click on image for larger version. Then there's dinner. You could decide to go out, either to a cozy neighbourhood spot for a romantic rendezvous (if they have tables left) or a popular downtown restaurant. Why not hit The Esplanade? 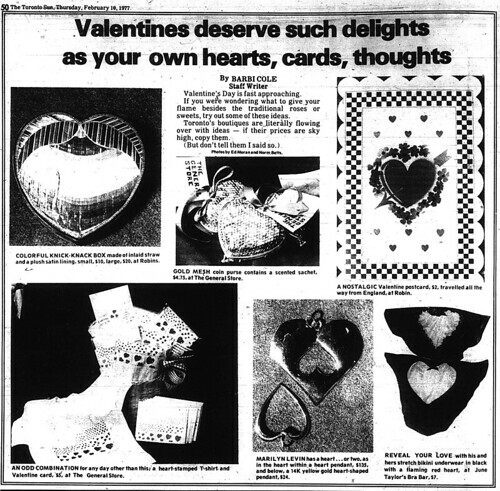 Toronto Sun, February 13, 1977. You could also stay at home and prepare a lovely, heartfelt meal. 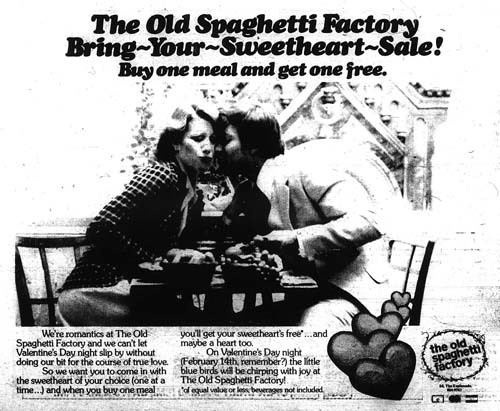 If your budget is tight, as were those of inflation-conscious couples during the 1970s, we have the following suggestions not just for Valentine's Day, but the entire week. Of course, not everyone will spend the day with someone. 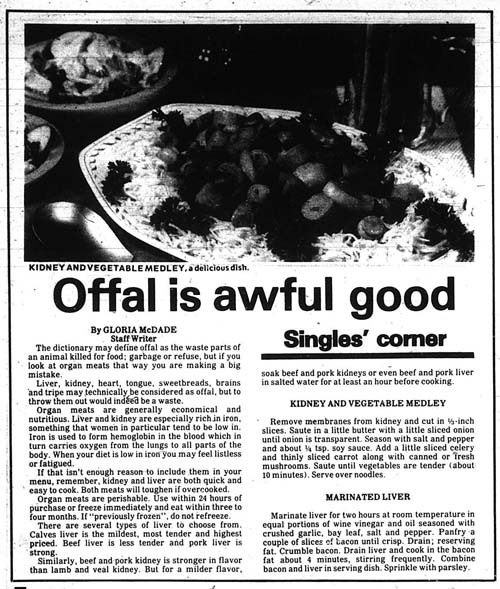 But don't fret - singles can make the day less awful by cooking offal! Toronto Sun, February 10, 1977.